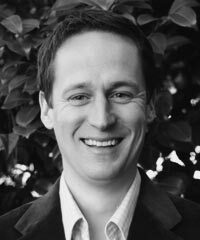 Alex Morgan is the Senior Manager for the Sustainable Value Chains team of the Rainforest Alliance Agriculture program. Morgan manages the North American team that is responsible for scaling up demand for Rainforest Alliance Certified products, including coffee, chocolate and cocoa, tea, bananas, and cut flowers. He works with companies to develop and execute sustainable sourcing programs, including supply chain management, marketing initiatives, and internal education. He manages the cultivation of new business relationships and oversees stakeholder engagement within the NGO community, government agencies, and activist groups. Morgan worked previously for Audubon, U.S. Senator Maria Cantwell, and some small regional nonprofit organizations in the Seattle area. He has studied and worked in Belgium, the Netherlands, and Madagascar. He serves on the Specialty Coffee Association of America’s Sustainability Council.